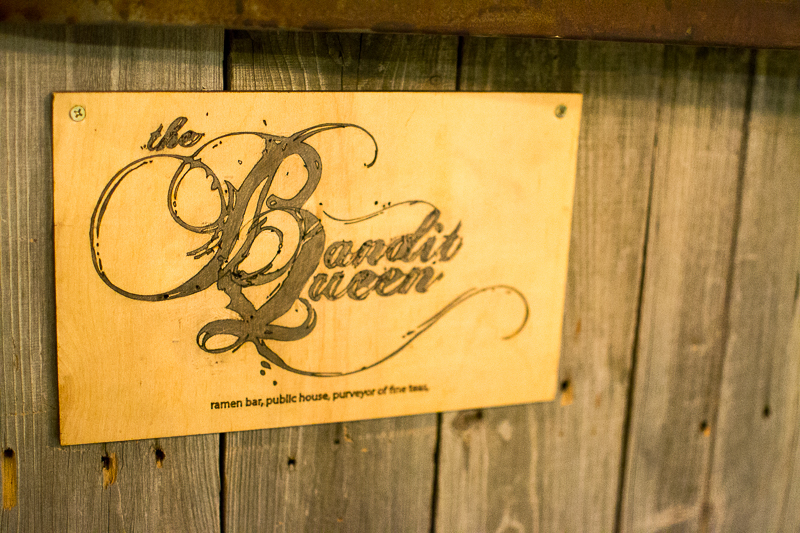 From the moment one walks in, The Bandit Queen tells a story through not only the food, but also the decor and overall design aesthetic of the small 20-seat establishment. For weekly menu specials, please check Facebook! Tory O’Haire is a storyteller. 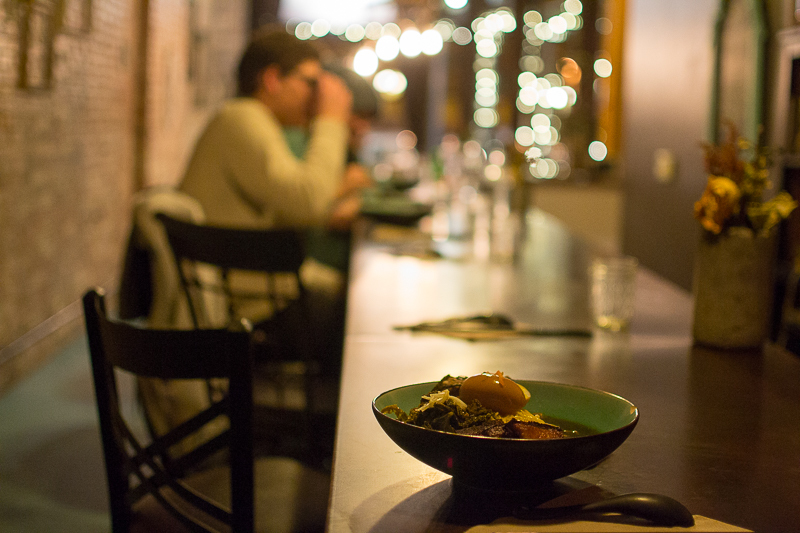 Walking into the The Bandit Queen, his most recent restaurant is an adventure story immersed into the world of the East Asian spice trade. As he successfully achieved with Propaganda Doughnuts right next door, O’Haire and his business partner work to fill the culinary voids Grand Rapids has. O’Haire is trained in French cuisine. His business partner has traveled to Asia once. By no means are they trying to come off as experts in old-style ramen shops commonly found in Asian cities. 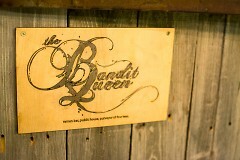 “The Bandit Queen is a direct reflection of my personality, influenced by my French culinary experience,” he explains. “We are not attempting to recreate something, we are attempting to honor tradition and do something broadly personal on a Grand Rapids level. 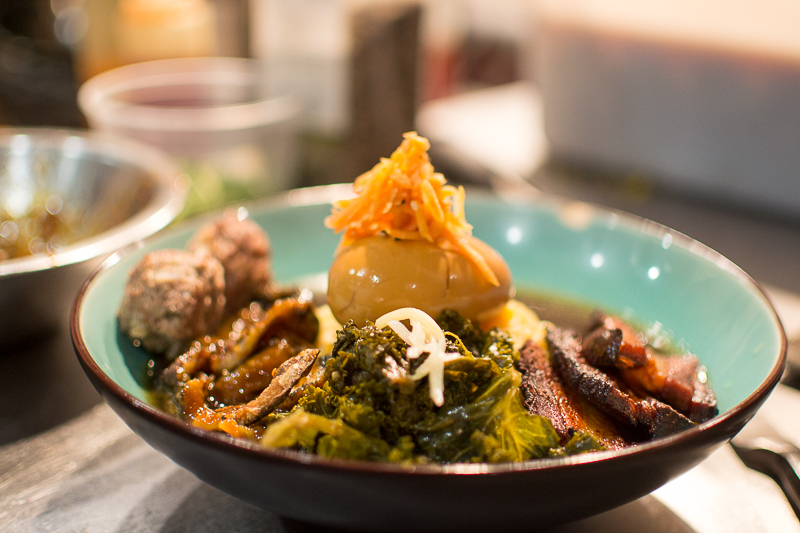 With the exception of the noodles, which are shipped in, all ingredients are local and made from scratch. O’Haire relies heavily on fresh produce from local farmers, provided by Farmlink to him each week. O’Haire aims to tell a story at The Bandit Queen through not only the food but also through the total experience- with a brush of ‘shipwreck chic,’ as he calls it. The decor provides the groundwork, with the interior of The Bandit Queen emitting a vibe of an old world saloon on a trade ship. There are wrought iron chandeliers intertwined with rope, mismatched chairs sprinkled among the community table at the head of the restaurant, all within a color scheme reminiscent of spice markets.